[SatNews] General Dynamics Mission Systems and Rockwell Collins have shipped more than 1,200 AN/PRC-155 radios to the government as part of a follow-on Low-rate Initial Production (LRIP) contract for 1,500 new radios. 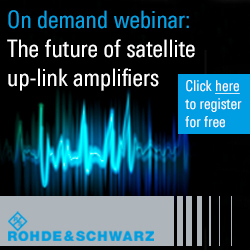 The remaining radios will ship during the first quarter of 2015. The two-channel PRC-155 radios are the Army's digital 'connecting point' for soldiers and their commanders to share information while collaborating locally and globally, via the Warfighter Information Network - Tactical (WIN-T) Increment 2. General Dynamics' PRC-155 two-channel Manpack radio keeps soldiers cyber-defended and connected to the Soldier's Network. General Dynamics Mission Systems and Rockwell Collins shipped more than 1,200 AN/PRC-155 radios to the government as part of a follow-on Low-rate Initial Production contract for 1,500 new radios. 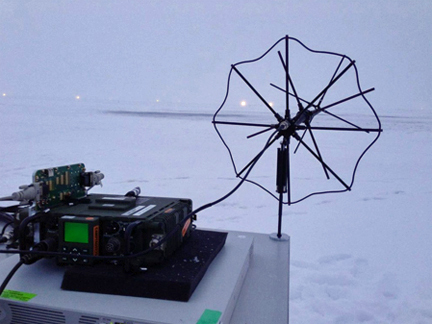 General Dynamics' 2 Channel Manpack radio is the first and only tactical radio to deliver secure voice and data connectivity with the MUOS system in polar regions. Photo courtesy of General Dynamics. 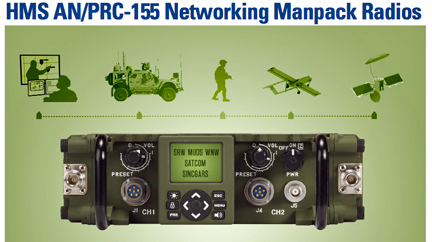 The PRC-155 connects line-of-sight radios to satellite communications systems so soldiers can share observations from their current location, while receiving reconnaissance information or other data to quickly confirm or adjust mission plans from anywhere in the operations area. Soldiers can also use the PRC-155 to reach back to regional headquarters using secure satellite communication networks. "The two-channel PRC-155 keeps soldiers consistently and securely connected to the tactical communications grid from anywhere," said Chris Marzilli, president of General Dynamics Mission Systems. "This is also the only U.S. Army tactical radio to provide the digital connections that Army organizations need to stay in touch, one to another, from just about anywhere on the planet." 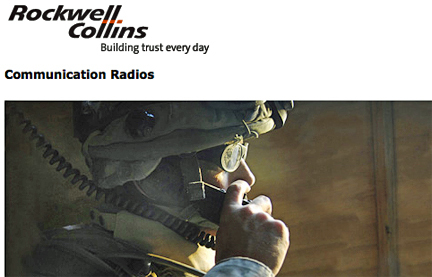 "Our team enabled the PRC-155 to become the first two-channel fielded radio to be operationally deployed for the U.S. Army," said Mike Jones, vice president and general manager of Communication and Navigation Products for Rockwell Collins. "We look forward to meeting this milestone and providing the warfighter with an enhanced networking capability that provides greater situational awareness while improving mission success rates." Scott Air Force Base, Illinois. Establishing crystal-clear voice communications, General Dynamics' personnel located at Fort Bliss, Texas, Fort Benning, Georgia, and Fort Bragg, North Carolina, and the General Dynamics Scottsdale facility, successfully joined a conference call connecting all of the locations. A successful 2,000-mile, multi-hop satellite transmission used both PRC-155 radio channels to bridge the line-of-sight PRC-154A Rifleman Radio and legacy SINCGARS radios to orbiting satellites. The first LRIP contract for 100 AN/PRC-155 Manpack radios was awarded to General Dynamics in 2011. With the completion of the current contract, the Army will own more than 5,300 PRC-155 Manpack radios. Two vendors, General Dynamics and Rockwell Collins, are building the radios supporting more than 8,000 jobs including more than 92 small businesses throughout the United States. A part of General Dynamics' Soldier's Network, WIN-T Increment 2, the AN/PRC-155 Manpack and AN/PRC-154A Rifleman tactical networking radios work together with the company's cyber-defense devices, including the TACLANE® family of in-line encryption devices and TACLANE MultiBook secure laptop computer. These systems and products combine with General Dynamics-developed mission command capabilities connect soldiers at all echelons to the Army's secure backbone communications network. 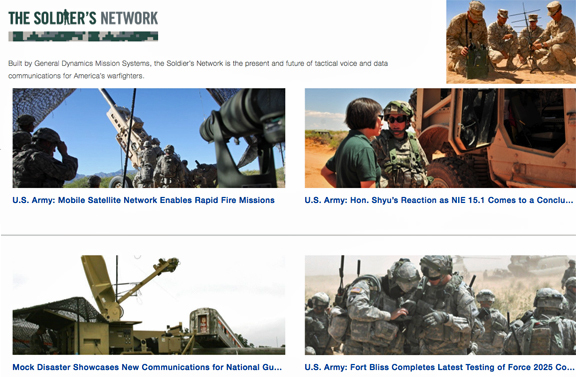 For more information about the Soldier's Network, visit http://www.thesoldiersnetwork.com/. The Rockwell Collins radios infosite is accessible at this infopage. The General Dynamics Mission Systems infosite at http://www.gdmissionsystems.com/ contains additional information.